Waterford Tech Firm VR Education Holding PLC started trading on the Irish Stock Market. David Breen & Jenny Kiely from our office were delighted to join Sandra & David Whelan at today’s admission of VR Education Holdings PLC to the Irish Stock Exchange. Seamus Larrissey Financial Controller, David Whelan CEO, David Breen, Jenny Kiely & Sandra Whelan COO. 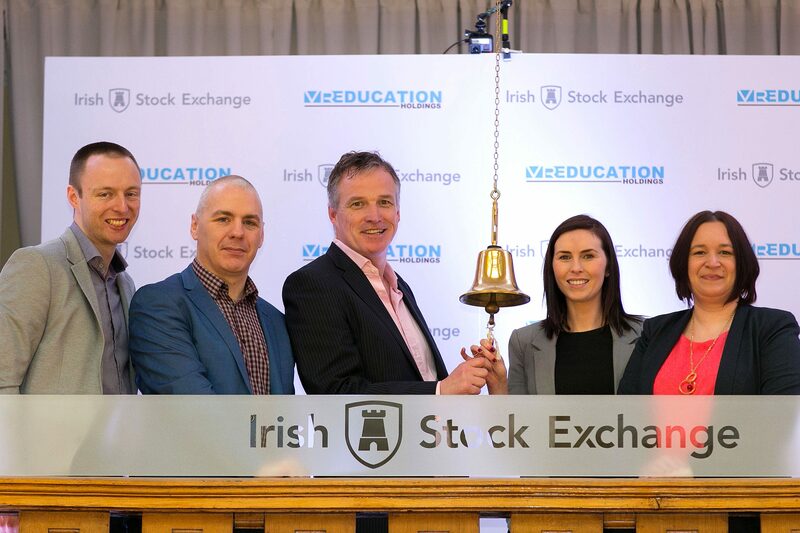 VR Education Holdings listing on the ESM of the Irish Stock Exchange.